Dr. Jim Keany is no stranger to the world of medical broadcasting. He’s heard weekly as the medical analysis on the Marconi Award winning Bill Handel Show, KFI 640am radio in Los Angeles. For 7 years, Dr. Jim hosted the syndicated radio talk show “Ask Your Doctor”. He’s appeared on NBC’s Dateline, The Learning Channel, as well as local news and cable. In 2004, Dr. Jim was recognized by The Communicator Awards’ with their highest honor, the ‘Award of Excellence’ in the category of Medical News Radio. Inland Empire Magazine subscribers included Dr. Jim in their annual review: “Doctor’s Who Make a Difference”. Dr. Jim educates the public and fellow physicians as chapter author and editor at eMedicine and WebMD. 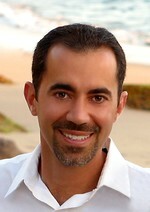 Dr Jim also hosts the Healthbuzz podcast, a weekly interactive show. With over 15 years of experience in emergency medicine, Jim currently works as attending physician and Director of Emergency Medical Education at Mission Hospital Regional Medical Center, Mission Viejo, California. He’s been an active member of NAMC since 2002 and currently serves as a Board Member.